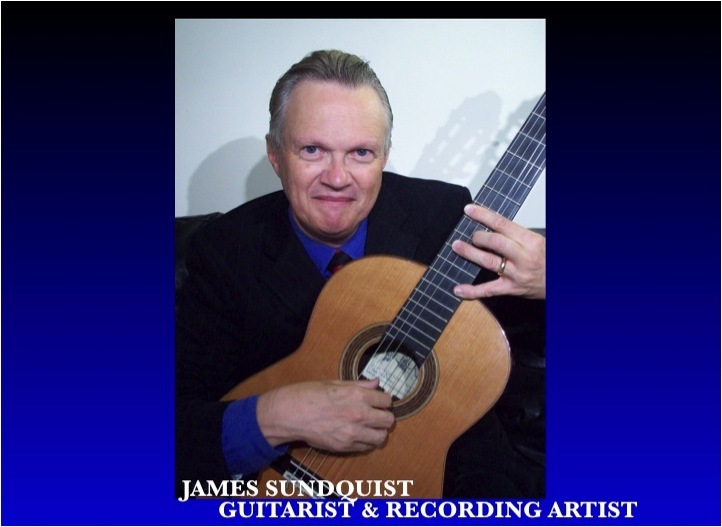 James Sundquist, founder and director of EAGLE MASTERWORKS PRODUCTIONS, has written and/or produced the words and music for several network commercials, one internationally released sound track for a film, and four nationally released recordings. James's network commercials include: several Mattel Toy spots; Woodsie Owl Give A Hoot, ("Keep America Clean" Campaign Public Service Announcement, for the Department of Agriculture at Ogilvy & Mather Advertising); Stretch & Sew Fabrics; and Your Local Church Welcomes You, for the National Episcopal Foundation. Through initial funding from NIKE, James produced personalized pace exercise music for runners and walkers. This commissioned work led to his developing walking and running tapes endorsed by PREVENTION Magazine and recommended in hundreds of national and international publications such as the WASHINGTON POST. James' first solo record album is entitled Freedom Flight, on Lamb & Lion Records which features production services from Larry Norman, Paul Stookey, Tom Howard, and Wendell Burton. The title was taken from the theme song, Mountain Lady, which is a parable of the Church being caught up for its final flight to heaven. Included on this album is his musical interpretation of the Apostle John's vision of the New Jerusalem, arranged from the gospel spiritual Twelve Gates to the City, prophesied in the Book of Revelation. Freedom Flight, along with his vision entitled Caravan and Harvest Song on his In Concert album, vicariously transports the listener on a journey to another land through James' skillful use of imagery and allegories. Just as James transports listeners with his lyrics, he then decided to transport listeners to another epoch by recording instrumental versions of well-known hymns and carols sung by saints throughout the ages. He recorded them in the beautiful wooden sanctuary of Jan Hus Presbyterian Church in New York City. An Anthology of Sacred Carols for Classical Guitar and An Anthology of Sacred Hymns for Classical Guitar were subsequently released on EAGLE RECORDS MASTERWORKS, now EAGLE MASTERWORKS PRODUCTIONS. Both albums aired on National Public Radio as part of two documentaries James wrote on the history of Christmas Carols and Hymns. His Christmas album was nominated for a Grammy for Best Album Notes and Second Prize for the Armstrong Memorial Foundation, and later was licensed to IBM Corp. as a multimedia CD-ROM. 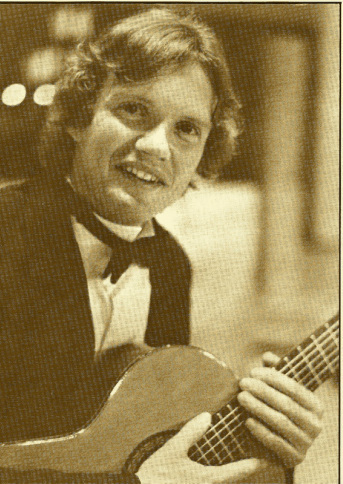 His hymns guitar works and documentary won the National Wilbur Award in Radio Broadcasting. These two instrumental works are at times ferocious; at times fragile and delicate. 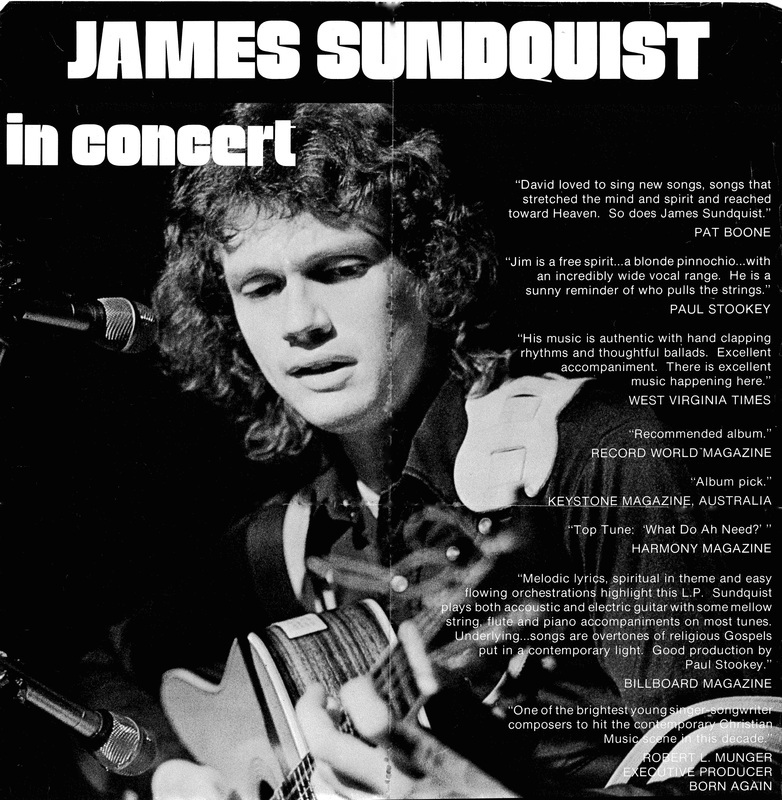 His THE COMPLETE COLLECTION OF JAMES SUNDQUIST LYRICS AND POEMS: 44 Scriptural and Prophetic Songs as Kindle format at Amazon.com. His In Concert and other works are available at CDBaby. He is available as a producer, writer, and concert artist. To engage his services, visit our Contact Page. 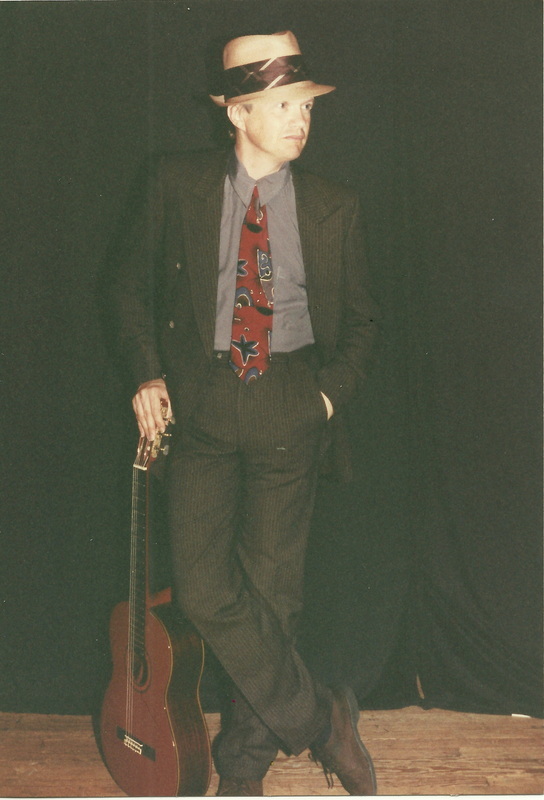 James also teaches guitar and piano privately and is on the faculty at three music schools near NYC. He is blessed to be married and to have two children.